Many advisors favour one strategy over the others (usually the very same strategy in which they happen to specialise). But the truth is, there are a multiple ways to succeed as a property investor. 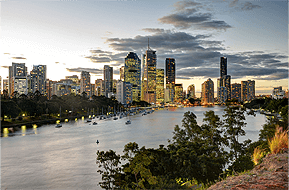 Here are the top 10 broad property investment strategies used in Australia today. Some of the strategies may overlap, depending on how you apply them. Owning your home is hands down the most popular way to make money from property in Australia. OK, this isn’t what many people think of when they think of “property investment”. However, owning your own home has the great advantage of being free of Capital Gains Tax. So, apart from all the other emotional and lifestyle benefits of living in your own home, your home base is likely to rise in value substantially, especially if held for a long time. Later in life, my home owners choose to downsize and free up considerable capital in the process. As property values go up and rents increase, Buy and Hold investors often use their increasing equity to purchasing the next property in their portfolio. Then in future, they may sell some of their holdings to reduce debt and emerge with income generating assets. Negative gearing can be combined with other property investment strategies (e.g. Buy and Hold), but the term refers to a property investment where the annual expenses exceed the rental income. 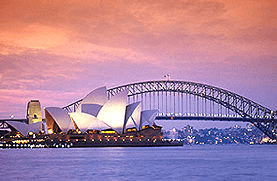 This leaves the investor with a loss, which under Australia’s current (and hopefully future) tax laws, can be claimed as a deduction against the investor’s taxable income. 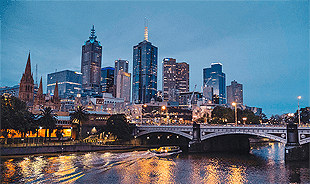 Historically, particularly in capital cities, property prices have grown more than enough to offset the losses incurred during a period of negative gearing. The flip side of the coin is Positive Gearing – where the property generates a higher income than expenses, before depreciation is taken into account. Positively geared properties are usually hard to find. And if you are able to buy them on open market, they will usually have lower growth prospects than other types of property. For example, they may be located in remote towns where little population growth is expected. Or, they may be an exotic property type such as student accommodation, or short term holiday rentals. However, the good news is that property that is not positively geared at the time of purchase, may become positively geared over time, as increases in rental income outstrip expenses. Positive Cash Flow properties are properties that put cash in the investors’s pocket after depreciation is taken into account. Many properties – especially new properties – may qualify for substantial tax deductions as a result of having a compliant depreciation schedule drawn up by a quantity surveyor. Renovating a property is a way of manufacture equity, allowing you to sell the property quickly in a process known as “flipping”. Although the many renovation reality TV shows like Fixer Upper make flipping look fun and easy, by the time you factor in your hard costs, plus the cost of any time and labour, it’s relatively challenging to make money over and above what you could make via other property investment techniques. Nevertheless, some investors are very skilled at flipping, and are able to make it into a lucrative investment model. getting it done quickly – time is money! Many of the same risks and rewards apply to renovating to hold vs flipping. However, one could argue that with renovating to hold, you have more time on your side. Renovating to hold is about maximising the potential of a piece of land. By renovating successfully, you can not only increase the weekly rent moving forward, but also bump the value of the land by maximising its potential. Whereas flipping is often done quickly, a standard renovation doesn’t have to be done as soon as you purchase the property. You can wait until you have the time, money or energy to renovate. The alternative to buying direct property, is to gain exposure to the property market via a Real Estate Investment Trust or A-REITs. REITs allow the investor to gain exposure to diversified property asset types that may be difficult or expensive to buy outright (such as commercial office buildings in major cities). Block splitting is really a simple form of property development. You buy a block of land (assuming it has the right zoning), and then split it up into two or more sections. You can either sell the new block(s) as land for the new owner to build on, or build a dwelling yourself and sell the completed house. Passive property development (also called “Armchair Development”), is where you supply money to a property developer, who then develops a property project, thus manufacturing equity. Passive property developers provide the funds but not the expertise or elbow grease. This strategy can be considerably faster and more lucrative than more conventional strategies such as Buy and Hold – but it also entails more risk, such as the risk of the development not going to plan. 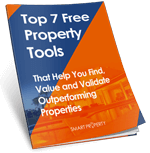 Which of these Property Investment Strategies is right for you? Which investment strategy is the best? It depends. Each one has its place, depending on your current situation and goals. Get in touch to have a chat with one of our expert property investment strategists to formulate a property plan that’s right for you.